Located approximately forty miles southwest of Zion, St. George is the largest city in Washington County, and your best bet if you’re looking for big city services and amenities. Home to over 70,000 residents, St. George is the largest city and county seat of Washington County in southwestern Utah. The city is well known for its mild weather and proximity to popular outdoor recreation destinations such as Zion National Park, the Mojave Desert, and the Pine Valley Mountains. The city has the additional distinction of being the fastest growing metropolitan area in the United States. 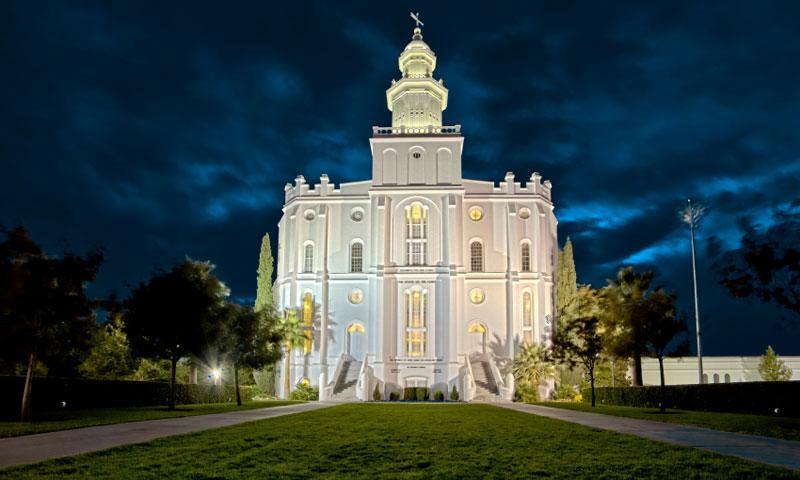 St. George is located approximately 40 miles southwest of Zion off UT – 9. If you want it, you can find it in St. George. The city has every imaginable type of lodging, service, restaurant, and amenity. St. George is located in close proximity to the outdoor recreation destinations of Zion National Park, the Pine Valley Mountains, and the Mojave Desert. The area also has several scenic golf courses. Brigham Young Winter Home: The famous pioneers winter home has been preserved and is now open to the public for tours. From Zion, take UT – 9 forty miles west into town. Along the way enjoy expansive views from the Zion Canyon Scenic Byway including the Pine Valley Mountains, red rock formations and Mojave Desert.